FIRST TIME ON THE MARKET! Opportunity awaits the new owner of this immaculate home. Gorgeous pond front home-site offers fantastic views of nature at its best right from your kitchen window & patio. Open floor plan features vaulted ceilings, family room & formal dining room. Eat in kitchen complete with all its appliances. Master suite has a double sink vanity, garden tub, separate shower and walk in closet. Screen enclosed inground pool with covered lanai and the aforementioned water views. 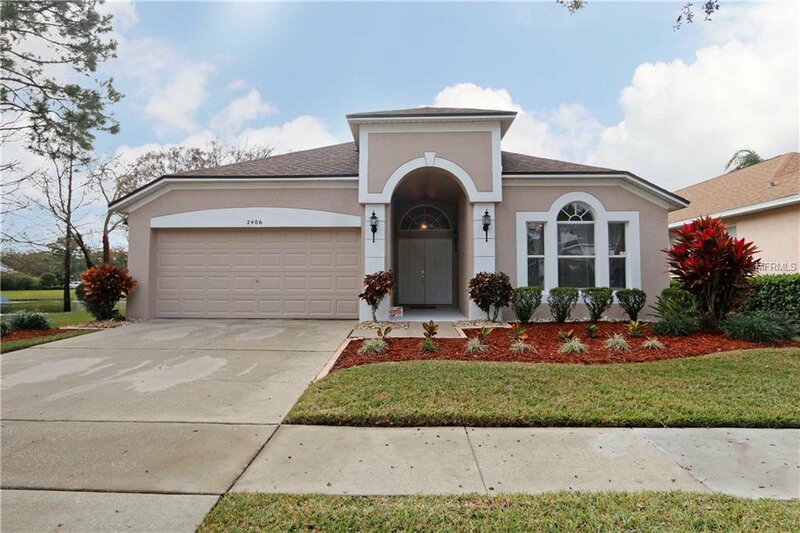 All this in the private gated community of Hunters Creek, one of Central Florida's most sought after communities and also recently named "One of the best places to live". Amentities include: several parks, dog run, tennis courts, soccer fields, softball, volleyball, basketball & access to Hunters Creek golf course. Location benefits include: 15 minutes to Disney, Orlando Int'l Airport, Downtown Orlando, restaurants, shopping & much more! Easy access to SR 417, SR 528 & FL Turnpike. Listing courtesy of RE/MAX PRIME PROPERTIES. Selling Office: FIRST PRO REALTY.